Managed on a volunteer basis by a non-profit organization, the Marxist Internet Archive aims at diffusing knowledge about Marxism over the world by offering a large digital library. This website gives access to an impressive quantity of contents completely free of charge. It contains full-text classics and research material, some dated back to early 1920′s, in largely annotated and well-organized pages, presented also in many languages in addition to country-specific repository, such as the Portuguese Malatesta Archive and the Serbo-Croatian Praxis Archive. 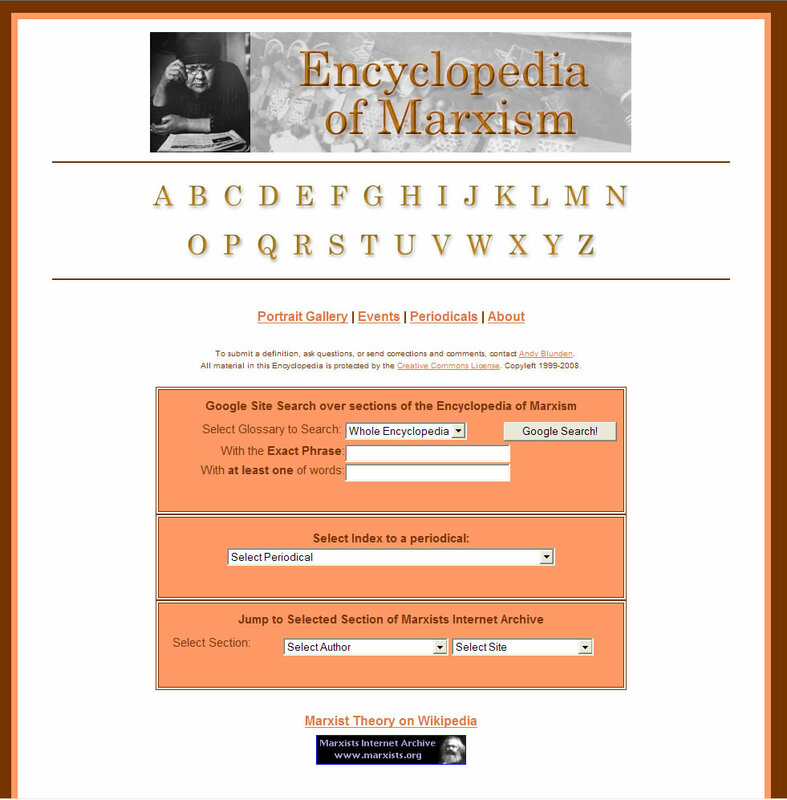 Also available an Encyclopedia of Marxism including factual material, quotes and a foundation of marxist analysis to make facts comprehensible and to ensure a contemporary rendering. Infos on upcoming events of interest for scholars interested in the study of Marxism are provided with a high updating rate. Users are allowed to search through a keyword-based engine, with possibility of sorting results by authors or by nature of contents, or through quick links presented in the homepage, and items are downloadable in various formats. A sitemap is also available for quick orientation, along with a twice-monthly update e-newsletter and online ordering of DVDs with collections of archived material, entirely protected by a Creative Commons license and also accessible through web-mirrors in several other countries.